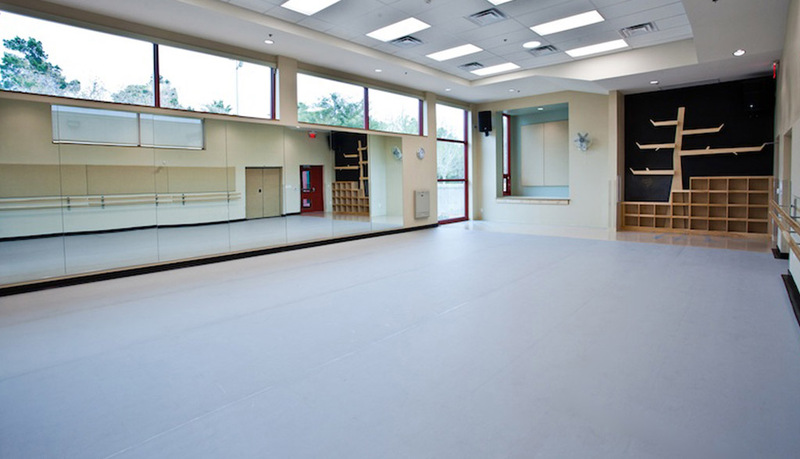 1,400-SF dance classroom addition to early 1980’s Cultural Center. Design process included public dance studio case studies, meetings with dance/theater personnel at Winchester, visit to the Nevada Ballet Theatre, and coordination with Friends of Winchester community group for landscaping and future garden infrastructure. Connections to local history include interior tree “Pride Wall” and visual connection to adjacent park garden. 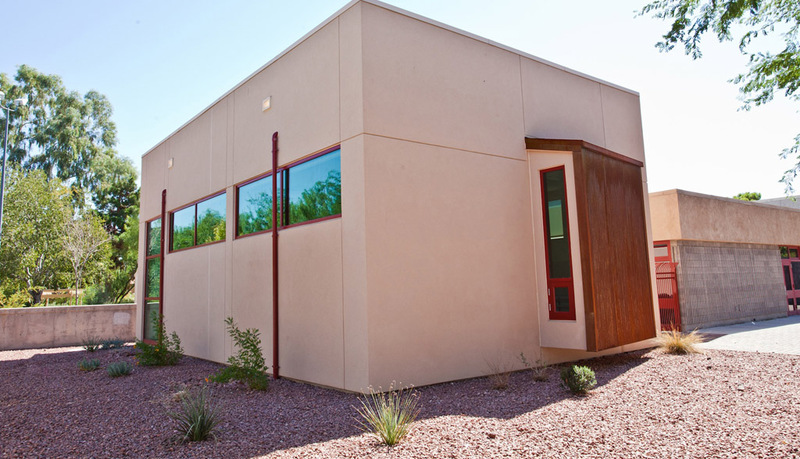 Exterior materials drew inspiration from nearby Flamingo Wash trailhead art. Wall/roof insulation systems exceed minimum code and result in less demand for interior heating and cooling, reducing operational costs. Daytime operation is possible with only daylighting from windows and tubular skylights, reducing power use. Alcove saddlebag features at east/west elevations deliver multiple returns with passive solar function and interior alcoves for acoustics, seating, and storage. State-of-the-art audio controls are secured within a tilt-out cabinet. Customizable thermal settings, wall-mounted electric fans, and operable side windows give the dancers control over their comfort. Funded by HUD Community Development Block Grant (CDBG).